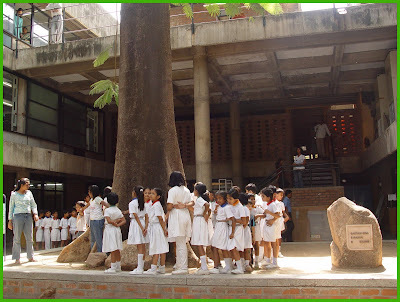 Image: School children visiting NID seen at the Gautam-Gira Square holding hands around the Big Tree at my suggestion. Yesterday we had a group of very young visitors, all from one school in Ahmedabad, The St Mary’s School, one of the better known schools of Ahmedabad. I saw all the students walking in single file, hands tucked firmly at the back lest they got into some kind of trouble, and being proper young school kids, while taking a tour of the National Institute of Design at our Paldi campus. I met them near my office and was struck by the strict discipline and wondered about the state of education in India. What would it be like to put design inside this education? I recalled a lecture that I had delivered a few years ago at the conference titled Indian Crafts: The Future in a Globalising World, held at the National Institute of Design, Ahmedabad, India on 25th and 26th November 2005. The paper was based on the one I had penned for publication in the much delayed Volume Two of the Handmade in India. Volume One is printed and lying in a godown at the Office of the Development Commissioner of Handicrafts for the past 8 months, but that is another story. 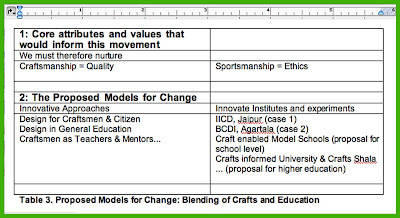 My paper was titled “Craftsmanship in Education: Towards a Creative India in the Knowledge Economy“ (161 kb word file) the full text version can be downloaded from this link here. 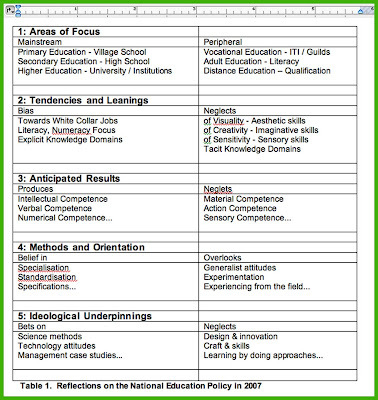 The issues that I had raised are captured in the three tables that I had presented at the conference and these represent my analysis of the education situation in India and we see that the Planning Commission and the Ministry of Education are bending over backwards to spread this kind of education to all our rural areas which have so far been spared the deleterious effects of such a formal education in our country. However the long arms of the planned education system are reaching out and they promise to snuff out the traditional systems of learning that has existed in our countryside for many centuries of active involvement of children and adolescents in the crafts and agricultural trades, now called child labour, and therefore looked down upon. 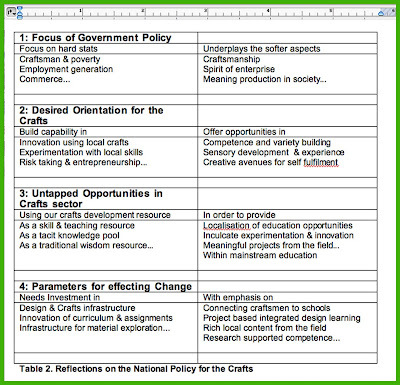 The NCERT ( The National Centre for Education Research and Training, New Delhi) has recently set up a National level committee to look at the introduction of Crafts as a subject of study in the school curriculum and the work has been progressing towards the implementation of their suggestions in the coming years in schools across India. 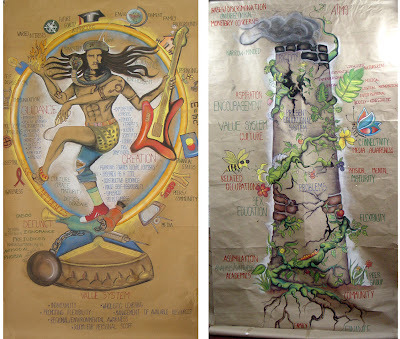 When will design attract such attention and be brought into the school curriculum? We have the National Design Policy in place since the beginning of 2007 but there is no mention of school education in that agenda and that situation needs to change quickly. I wonder, when and how. 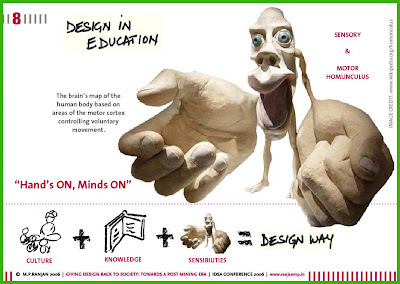 Image: Slide from the IDSA lecture on education the Design Way. In my lecture at the IDSA 2006 in Austin, Texas I had stressed on the need to review education in the light of new findings about human motor skills and their association with learning as captured by the Homunculus as offered to us by Dr Wilder Penfield in the image above. We do need to find the Design Way and bring it into school education, sooner the better. The text summary paper (42 kb word file) and visual presentation (pdf 812 kb) titled “Giving Design back to the People: Towards a Post-mining Economy,”can be downloaded from here. Image: Models created by a student group looking at the theme of Design inside Education in the DCC course. While keeping these needs in mind, last year I had assigned the theme of “Putting Design Inside Education” as part of our Design Concepts and Concerns course for the Foundation students and for the Post Graduate students we had the theme of “Creative Industries of the Future”, both of which impinged upon sustained changes in the school level curriculum to include design learning and action at the very core of the educational processes in our schools across India. We need to make that happen, sooner than later, if we are to create leadership in a globalised economy and I do hope we are able to move towards a more design and innovation informed educational system across India, particularly for our rural children who I believe will be hugely disadvantaged by the current form of education if it is taken to the villages without some thought and revisions. Image: A page from the booklet "Design for Services" launched by SEE Design Network of Design Wales, Cardiff. Full pdf files can be downloaded from the links below. Service Design is an emerging discipline that lies between the various fields of Design and Management. It is the cusp of both these major disciplines, which in India have rarely met or exchanged expertise in an educational setting. Design schools do not teach management in depth nor do management schools teach about design, leave alone design management. We have thousands of management schools in India when the pressing need is for the creation of experts who can innovate great services across a huge number of sectors of our economy. In my view design is needed critically in as many as 230 sectors of our economy and I have written about these in the past. Several unusual experiments have been taking place in this space and the work done at the Mayo Clinic, USA is one that stands out in using the IDEO methodology to improve the service offerings of the medical establishment and their hospital chain, which has been covered in an earlier post on this blog. This year the KaosPilot school from Sweden has deputed 35 of their students to spend their “Outpost” session of three months in the field at Mumbai, and they are in the city till the end of May 2008 to explore the creation of new and compelling services that can build local entrepreneurship in a number of areas of service offerings from transportation to health systems. The Welllingker School of Management in Mumbai has started a masters programme in Design Management and NID Ahmedabad has a programme on offer called Strategic Design Management, but these are very little for a huge country like India and many of the other management schools should consider offering such programmes if we are to make headway in improving our services with the use of design and innovation, all managed by expert hands that are trained to do the job. The National Design Policy must take this into account when we try and take design forward in India. Across the world many management schools have started embracing design and innovation as a core offering to their students and in this the charge is led by the Rotmans School of Management Toronto and a less known school in Scandinavia called the KaosPilot, both of which have been covered in previous posts on this blog. In the 80’s the London School of Business had produced a book on Design Management and at both the Stanford University, USA and the University of Industrial Arts, Helsinki, there have been concerted efforts to bring together Design, Technology and Management through a planned series of projects that bring together faculty and students from all these disciplines in a transdisciplinary format. The Design Council, London had spearheaded an initiative called RED where a series of innovative design and management exchanges had led to the development of some very interesting new services, all designed by keeping users in mind. 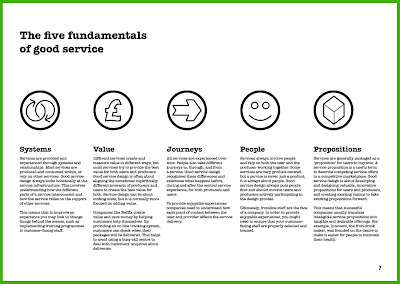 The Design Wales too has been working with SME’s and local businesses to assist them to refine their service offerings and their booklet on service design is a very refined offering that can be downloaded as a pdf file. Several unusual experiments have been taking place in this space and the work done at the Mayo Clinic, USA is one that stands out in using the IDEO methodology to improve the service offerings of the medical establishment and their hospital chain, which has been covered in an earlier post on this blog. This year the KaosPilot school from Sweden has deputed 35 of their students to spend their “Outpost” session of three months in the field at Mumbai, and they are in the city till the end of May 2008 to explore the creation of new and compelling services that can build local entrepreneurship in a number of areas of service offerings from transportation to health systems. The Welllingker School of Management in Mumbai has started a masters programme in Design Management and NID Ahmedabad has a programme on offer called Strategic Design Management, but these are very little for a huge country like India and many of the other management schools should consider offering such programmes if we are to make headway in improving our services with the use of design and innovation, all managed by expert hands that are trained to do the job. Image: KaosPilots at Gautam and Gira square at NID, Paldi campus. The new age business school called KaosPilot was set up in Aarhus, Denmark more than 15 years ago in response to a pressing need to get young people to think afresh about their careers as entrepreneurs and creative professionals in a world that was becoming very commercial and market driven. Uffe Elbeck, the founder Principal of the school in the intro to his book, KaosPilot A-Z, says this about his school, looking back over the past 15 years. Uffe is currently the Chairman of KaosPilot International Board from 2006, now that it has taken roots in many countries and growing in influence and locations. I quote – “In the historical rearview mirror it’s nothing less than an educational, economic and organizational miracle – and fairytale – that the school and education have survived. And we just have’nt just survived – we’ve thrived. We’re alive, – really alive. With a pulse in the heart, sweat and blood, here and now. In the centre of Aarhus – but the whole world as our playground.” – unquote. In 15 years of experimentation the KaosPilots have been able to redefine management education and make it a creative enterprise that drew inspiration from the field, live and in real contact, rather than through the use of dry case studies that are discussed threadbare in a crowded classroom. The KaosPilot is an International School for New Business Design and Social Innovation, a way forward for many management schools that want to embrace the value of creativity, innovation and design in their approach education and change making processes in our various activities. The KaosPilot schools do not produce plain vanilla managers who will then work their way up a corporate ladder. They produce leaders who are both playful as well as committed to a cause, something close to their heart and meaningful to society as well. 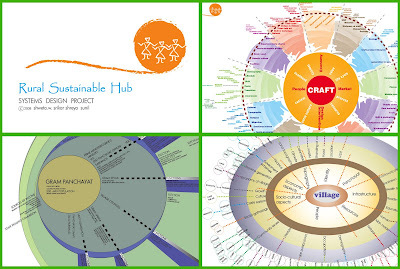 They are trained in the ways of the Fourth Sector that lies outside the traditional three sectors of Government, Private and Non Government sectors but draw the strengths of all these in good measure in order to build sustainable and socially equitable business models in a creative manner, all to produce great value. This is what I call design. 35 KaosPilots and two teachers are now in Mumbai for their three month “Outpost” where in a project mode they would explore the city and its resources and then build sustainable business models for those in need of their skills, all in a sensitive manner. Working in groups and connecting with other committed souls in the city, they would explore, experiment, dialogue, model, build and test the proof of concept offerings that are a product of their research and imagination before going all out to establish the enterprise with local participation and leadership in each of the areas that have been chosen by the sense-making that precedes the intense-action of implementation. Why 35? This is the batch size at all KaosPilot schools and each student is called a Navigator at their website that is full of exciting detail of their tasks and experiences in the field. While the school offers a bachelor’s degree equivalent, the students are over 21 years of age, mature and with a clearly formed purpose in life, to make a real difference. They come to the school to pick up skills and to address needs that most business schools ignore. In the words of Marco Visscher, Managing Editor of Ode, a Netherland based international magazine – “It sometimes seems that while the world economy has drastically changed, business education has stayed still.” KaosPilot offers another way. He goes on to say – “And now, after being Scandinavia’s best-kept secrets, KaosPilots is aiming to breakthrough internationally”. Now they are in India, welcome. 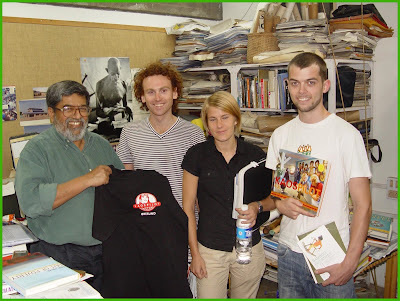 Image: KaosPilots with Prof M P Ranjan in his office at NID. 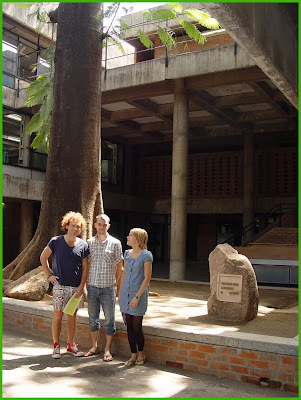 Three members of the Mumbai Outpost team traveled over the weekend and arrived at NID, Ahmedabad yesterday and spent two days with us at the Institute, very refreshing ideas and process of working. Perhaps this heralds a new period of cooperation between NID and a business school with the same values and commitment to change, real change in the right direction. KaosPilots, Sophie Uesson and Finnur Sverrisson and their teacher Mans Adler spent two days at NID and interacted with students and faculty in order to understand our processes and experience our facilities on the Paldi campus. We look forward to seeing the results of their stay in Mumbai and the bonds that this visit will forge with designers and managers in Mumbai and Sweden in the days ahead. We are keen to be in the centre of all this action as we move forward from here. Last week we had a couple of visitors to NID, both looking at the macro issues of design and development as well as how we at NID looked at these same issues from our perspective of many years of experience of using design for situations that addressed rural poverty and design policy at the national level. Dr. Sam Wong from the School of Earth and Environment who asked us a question about our methodology for village intervention with design for sustainable living. Dr. Wong is on his way to Rajasthan to conduct a first hand study of development opportunities in rural areas and to look at the various roles for design in that process. This gave me an opportunity to reflect on the various projects done at NID over the years from the Jawaja project, through the Chennapatna toy project to numerous textile design projects such as the Dhamadka Block Print project and more recently to our “Katlamara Chalo” project that integrates bamboo cultivation with product manufacturing as a means to alleviate rural poverty using local skills, resources and local enthusiasm as the primary resource. In my reflections we were able to discuss and build a more generalized sketch model (shown above) that explained the process leading to the selection of the village through research and the building of an understanding of the context from which a number of design opportunities are identified and modeled before they are taken through a participatory development process that used the local strengths and resources in a sustainable manner, all with a design strategy layered with design thinking and action that is aimed at creating the product innovations and business models that could bring self reliance and sustained development to that particular situation. This process has been repeated many times by our students and faculty teams at hundreds of village centres across that country in numerous crafts pockets with a great deal of success. Unfortunately not many of these projects have been published although they are all live examples of success of such design interventions in the field in a very complex social and economic milieu that makes up the India village situation. Image: Gisele Raulik and Darragh Murphy speaking to NID students in the DCC class about National Design Policies and their research in India and elsewhere. The second visitor was Gisele Raulik Murphy, a design researcher from the SEEdesign Programme of Design Wales at Cardiff who is visiting India to examine the contours of the Indian National Design Policy and compare it to those of Finland, Brazil and South Korea. Gisele and her designer husband, Darragh Murphy, had an occasion to talk to my students in the DCC Foundation class about design policy, design promotion and design support programmes in many countries that they are researching just now. Gisele had invited me to the conference that she had helped organize on Design Support that was conducted by Design Wales in 2004. My paper on the status of design business in India can be downloaded from this link here. (conference paper 39kb pdf and visual presentation 573kb pdf) Her current visit to NID and India gave me the opportunity to share our thoughts and ideas about design policy and on my personal views about its larger role in India. I am eager to see her interactions with Indian designers and design administrators compiled and discussed in her forthcoming report and to review her insights through her extended study of a comparative analysis of numerous design policies across the world. The way economists use the term planning today it seems that they do not take into account the various processes that we consider to be at the core of design as explained above, particularly, that of the core design ability of visualization through which design intentions are made visible to all stakeholders before the matter is taken up for sustained implementation with zeal and local participation. The economists prefer to use statistical and mathematically modeled projections and verbal constructs which do not touch upon the core areas of realisable innovations and this is an area that I think that design can help in bringing about a better understanding of even statistics itself. The work of people like Richard Saul Wurman and others in the field of information architecture and data visualisation have touched upon this use of a specific design ability to make visible, structures and forms of processes, situations and happenings, all explored in many complex manifestations. There are many other areas that design can be used in the planning and decision process of governments and industry where it is not used today and this is very evident to me each time i look at the work of our Indian Planning Commission and its publications. These bodies are filled with economists but at many times they seem to have very little faith in imagination and the creation of new and innovative offerings that the situation really affords, at least in my mind this is true. I do believe that these are not adequately addressed due to lack of understanding of what design can do in such situations by being a part of the process from the inside and designers too have not taken on the task of making all these possibilities visible by their own work due to lack of involvement, engagement and of funding at one end and stark apathy at the other. Many designers have taken the easy path of doing what they are told to do by their corporate masters who use their skills to slick up annual reports or company brochures. I do feel that we need to raise this debate and explore the various roles of design and its potential application that is today ignored by design education and practice alike, including my own school, and we may need to raise that debate at a global level so that a new sense of commitment is brought into the use of design in areas far outside industry and business, and that is one of my objectives in setting up this 'Design for India" blog in order to create a platform from which I can share my thoughts on the possibilities that I see. I also find the peer review system of the research publications as not so perfect although it does work wonders for science analysis and knowledge creation but it may be extremely defective for design demonstration since the idea of “design opportunity”, a very specific term, as a combination of perception and imagination, excludes the viewer or reader from "seeing" the imagination part of the designers statement and therefore it compels the designer to take the idea far down the visualisation path before it can even dawn on others that the idea is truly credible. This means that we may need to create a platform or even many platforms for design incubation and development that can be accessible to many across numerous areas of application and need and these kinds of platforms just do not exist in India today, or if it does, it is dominated by administrative controls that stifle innovation and exploration which is critically needed to make the demonstration. Even at NID, our policies for faculty research and action are very restrictive and the sanction mechanism through administration is very stifling indeed. Some of us have had to battle hard to achieve a small degree of autonomy of action and this is not a good climate for addressing these complex problems which surround us here in India in an effective manner. Jeffrey Sachs, author of “The End of Poverty: How we can make it happen in our lifetime” and Director of The Earth Institute, is an economist and a respected guide of many International programmes but I fail to see any signs of his deep understanding of design and innovation as we understand it today and here we, as designers and design teachers, have the task of educating our economists and the United Nations and World Bank statesmen, about the possibilities of design use just as the science community has managed to do over the past few hundred years of demonstration and application, their message to the world. This is where I feel the design policy of nations need to be directed to look at areas of real value and I am trying to get the attention of the Government of India to this possibility and to its potential in India and thanks to the internet we can make these statements directly today through our blogs (if managed properly) and I am aware that these have an impact, almost as much as any message in a peer reviewed journal such as the Design Issues or some other such respected platform with a claim of being scientific, but the challenge and problem is located in how we can get the people who need to listen to this to come to the table when the dominating theme in India and the world over is still science and technology and also management top a large extent, while design is not at all a part of that agenda at the level of discourse at the policy level in our nation. Most people, including Sachs, seem to believe that giving “development aid” is the way forward to poverty eradication and the whole aspect of building self reliance is often underplayed or even forgotten altogether. Many NGO’s turn out to be self serving agencies where the dependencies that are built between the donor and the recipient gives the donor a life long kick that they are doing some good in the world as good samaritans while they are in actually serving themselves and their ego needs. It is here that Ravi Matthai’s advise that the interveners must be completely dispensible in the process of building self reliant communities becomes relevant as he had advocated when we entered the Jawaja Project in the early 70’s. Image: Models prepared by systems design students from Product and Graphic Design after their recent visit to Jawaja in Rajasthan. This year the Design Concepts and Concerns course offered to the Foundation batch at the NID is looking at how design can help address some pressing needs of our villages, particularly in dealing with the problems associated with systemic poverty and how design thinking and action can help the people help themselves. The theme of this year’s course is water and its numerous manifestations and applications and the students have explored this space through mapping out design opportunities while trying to understand the needs of the five selected regions that have been assigned to the groups for their study and action. The Government of India has all but admitted that they have failed to deal with the huge problem of rural indebtedness and failure of agriculture and the only thing that they could think of was to give sops (as usual) in the form of a Rs 60,000 crore farm-loan-waiver scheme which addresses the symptoms and not the cause. I wonder what would happen if such funds were applied to the creation of imaginative solutions that are specific to each location through the use of design and through local participation? The massive and repeated occurrence of farmer suicides that have been reported from many parts of our country are the symptoms for a deep seated malaise that Government with all its massive investments in science and technology programmes on the one hand and in numerous financial and management schemes on the other, all of which have come to no real solution to this endemic problem. This magnanimous gesture on the part of Government was further compounded by another show of opulent entertainment through a lavish indulgence that was exhibited by a group of corporate leaders and their wealthy and loaded counterparts from the entertainment world in a weekend bash at Jamnagar, all in a land of farmer suicides and abject poverty that is a real concern across thousands of villages that make up much of India. Mukesh Ambani is reported to have spent upwards of Rs 400 crores for this three day bash and I wonder if other rich farmers and our feudal zamindari system in rural India will try to emulate this act in the days ahead, some leadership, great role model!! Not that designers are far behind if one examined the luxury based projects that they carry out regularly with great aplomb and an uncanny disdain for any form of poverty that surrounds us in India, all while working for their corporate masters in the form of opulent trade shows, glamour events and branded experience merchandise and lifestyle products for the very very rich. Design itself is unfortunately seen as an activity aimed at the very rich and rarely as a process and an activity that can address the pressing needs of our country and its needy poor, which is a whole world apart. Dr. Verghese Kurian, the great Anand milkman and founder to the Dairy Cooperative movement in India, has been calling repeatedly for the creation of rural support systems and educational institutes such as the IRMA, the Indian Institute of Rural Management, across several geographies in India but the Government continues to bash on with the setting up of more IIM’s, the Indian Institute of Management, that address the needs of corporate India when these particular entities are quite capable of looking after themselves, or should be doing so by all the means available to them. Some of us have been calling for an increased allocation of Government funds into the design education sector as well since we believe that this would help solve many of our human resource imbalances that are due to the excessive leaning towards science and technology on the one side and on corporate kind of management on the other hand, particularly at the higher education levels. This year the national budget has earmarked funds for yet more IIT’s and IIM’s while continuing to ignore the dire need for design schools as well as rural management schools that Dr Kurian has been talking about. The late Prof. Ravi Matthai, the founder Director of the IIM Ahmedabad had initiated a visionary programme for experimenting with rural education called “The Rural University Project” in the early 70’s and through this initiative he had inspired faculty and students of the IIMA and the NID Ahmedabad to cooperate in the field and build solutions for the rural poor. The Jawaja Project, as we called it at NID, had many initiatives that took design teachers and students to the villages of Rajasthan and Nilam Iyer through her Diploma Project had developed strategies as well as products using the skills and materials of the leather workers of the Jawaja village cooperative. 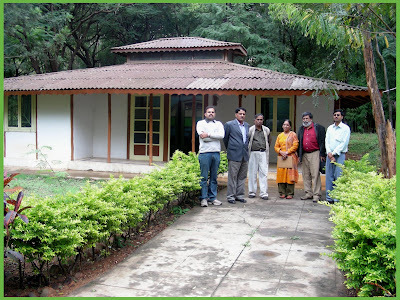 The NID-IIMA involvement continued for many years and the stated objective of the Jawaja team led by Prof Matthai was to make the interveners dispensible completely through the building of the self reliance of the village people. This was indeed a very wise piece of advice when we look back at Jawaja after a period of 25 years. Ashoke Chatterjee in his 1997 interview with Carolyn Jongeward talks about the design journey with conviction and satisfaction. The interview was later published in Seminar magazine and can be seen at this link. Image; Model and metaphor of the Raigar system of product based entrepreneurial venture prepared by the student team to understand the system. The Raigar community, the Dalits of the region, were the poorest of the lot, and today they have gained the self confidence and the means to make their own living from the craft of making leather products which the are able to market in India as well as to many locations overseas. It is a confirmation that design support and local entrepreneurship can transform a communityt from being dejected and helpless to become confident and self reliant through a process of hand holding and encouragement which could induce local sustained action. It seems that the strategies that were developed and embedded into the design offerings for the Jawaja community has worked at many levels of complexity and today when a team of senior Product Design students from NID make a presentation of their field visit and findings from the Jawaja region, the message is very clear, that the design interventions have worked so well that the Raigars are the most financially secure community in the region today. These field studies were done as part of their systems design class at NID in their search for meaningful occupations for design in India today. It shows that design works and should indeed be used locally in each and every development situation to get the “Jawaja effect” to spread all over the country. 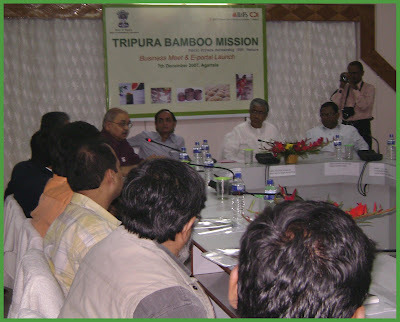 Is the Government of India listening? I do hope so. 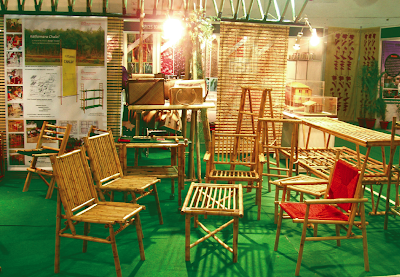 This strategy has been tried time and again by the NID faculty and students across numerous crafts communities all over India with a great deal of success. Paul Polak in his book “Out of Poverty: What works when traditional approaches fails”, tells us that his own experience with dealing with poverty in agriculture has used entrepreneurship and design strategy at the grassroots level to help eradicate poverty in many places across the world. His work and that of his organization, the International Development Enterprises, can be seen at their website link here.